This study attempts to replicate estimation results from Gábor Békés and Balázs Muraközy, Measuring productivity premia with many modes of internationalization, published in Economics Letters (2016). 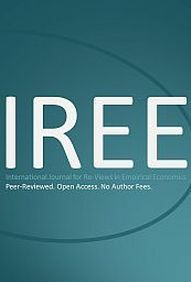 In this paper the authors use comparable firm-level data for seven European countries based on the EFIGE dataset to estimate the productivity premia of firms with various modes of internationalization by several empirical methods to demonstrate how results differ due to the method applied. While the EFIGE data are available free of charge from the web one core variable used by Békés and Muraközy is not, because total factor productivity (tfp) as computed by the authors is based on data from a commercial data base and, therefore, is available for users with a license to this database only. The freely available EFIGE data, however, come with another tfp-variable that can be used instead. In this replication study I use the EFIGE data with this publicly available tfp-variable to replicate (parts of) the estimations of Békés and Muraközy (2016) to see whether their results hold with the widely used public use version of the EFIGE data, too. It turns out that the big picture that emerges from using both productivity measures tends to be very similar. The use of the public use version of the EFIGE data for empirical investigations that deal with productivity, therefore, seems to be feasible.